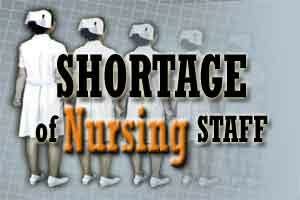 Agra: Acute shortage of trained nurses is proving to be a major setback to expansion of health services in India, a panel at an ongoing global summit on critical care medicine here has said. Doctors said there was large-scale migration of nurses to the United Arab Emirates (UAE), Canada, Australia, the European continent and other countries which offered better salaries and facilities. Intensive Care Unit (ICU) experts said there was a major gap of 50 percent where for every two critical patients least one nurse is needed. “In the private sector hospitals, the gap was more evident due to poor salaries,” the experts noted. Doctor Rajesh Pandey of Delhi said though India produced the largest number of trained nurses, it faced the most acute shortage of paramedics. After training and learning English, the market in the developed world offered much better facilities for them. Trained nurses were integral to running critical care units and trauma centres. India will need to address this emerging problem sooner rather than later, the doctors said. Doctor Tasneem from the UAE said Indian nursing staff was any day better and professionally better equipped and, therefore, got the importance they deserved in UAE hospitals. Due to better quality of life, if the nurses had a choice in UAE they would prefer to go to the western countries than return to India, Tasneem said. Over 3,500 delegates from India, the US, Britain, China and Pakistan besides other neighbouring countries have come together for the first global summit on critical care medicine being held here from February 3 to 7. Over 150 research papers are scheduled to be presented at the summit. Besides, workshops on 14 new fields of critical care are expected to be beneficial for attending doctors.